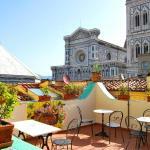 Tourists, business people, travelers, traders, globetrotters and travel bloggers, when you arrive in the most beautiful city in the world, don't choose random accommodation but follow our tips to find a B&B in Florence. Because Florence without B&Bs would be a bit like Amsterdam without its canals, like Paris without Rive Gauche and the Latin Quarter, like London without Portobello and Brick Lane, or Berlin without Mitte and its artists and memories. Because staying at a Bed & Breakfast in Florence on the Lungarno or overlooking Santa Maria Novella is a unique and unrepeatable experience. One of those experiences that make you want to come stand at the window watching the world without moving an inch to visit the Uffizi Gallery or Giotto's Bell Tower. 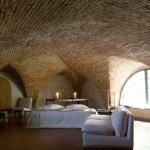 At Florence's B&Bs you can breathe Tuscany's purest atmosphere, the same sought after by the descendants of noble families from Central Europe when they came here on their Grand Tour towards adulthood, the same one that still makes Ivan Graziani sing: "Florence ... the thing I liked most was the air." 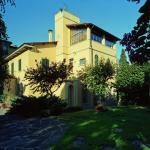 Florence B&Bs boast the authenticity of an ancient land, natural flavors, warmth and joy. Many B&Bs in the city of Florence are family-run, with all the advantages that this may have: direct relationship with customers, home-made jams, curious paintings on the walls, antique wood furniture, small bathrooms, even a little whimsical, warm lights and peace of mind. 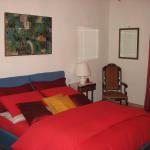 To those who want to stay in Florence, what we recommend is to choose their B&B with calm and care. 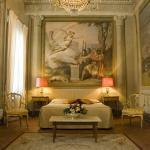 Because there are more than 100 B&Bs in Florence available and you will surely find the one that best suits you, too! 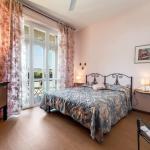 Because to those who prefer modern comforts, numerous B&Bs in Florence offer all the best, from satellite TV to small gyms, air-conditioned rooms with broadband internet and eco-friendly atmosphere. 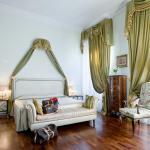 But even those who like to be welcomed in a warm embrace will find their ideal accommodation in this wonderful city. 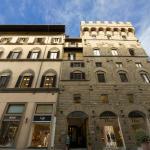 The B & B Residenza Giulia welcomes you in the heart of Florence, just minutes from the Duomo and Santa Maria Novella station, an ideal starting point to discover all the beauties of the city.